The Hardy Zephrus Saltwater Fly Rod took home best fly rod award at the European Fsihing Tackle Trade Association Show. The Zephrus is Hardy's successor to its highly-awarded Zenith family of rods also built with Hardy's SINTRIX 440 technology. There are three new rods in the Zephrus Series: a freshwater series, (FWS), a saltwater series (SWS) and an all-water series (AWS) with AWS series bridging the gap between light fresh and heavy saltwater applications, featuring saltwater safe hardware and fittings, including carbon or aluminum reel seat inserts, larger guides and more powerful actions. 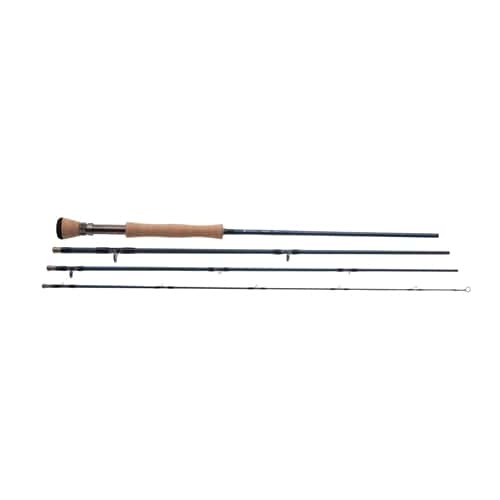 FWS or "All water series" rods feature select hardwood reel seats, high grade lightweight REC guides/components and feature light, responsive blanks, more suitable towards freshwater fishing. Zephrus, with SINTRIX® 440 technology, combines the featherweight touch and line feel required to fool a midge feeder under the rod tip, with the power to hit a slab rainbow at full range. Thanks to advanced design, industry leading materials and, above all, a passion for creating the finest high performance fly fishing tools available. Accuracy at 6 feet or 66.